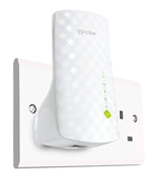 The device combines all of the visible Wi-Fi networks into one, providing you with a single SSID. 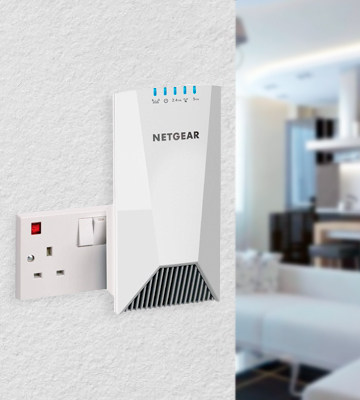 Just add additional devices to the booster's network and the extender will find an optimal route to maximise the Wi-Fi performance on its own. 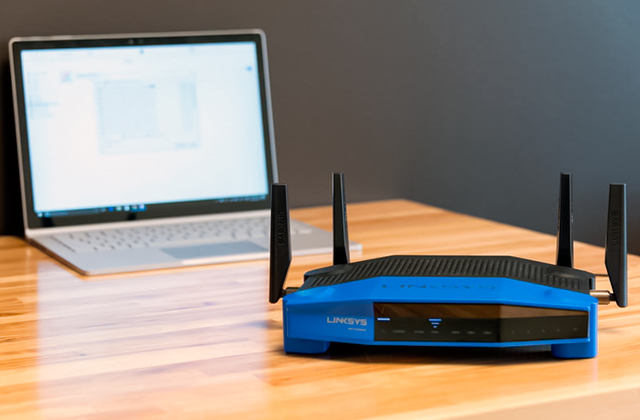 It doesn't reduce the speed of your extended WiFi connection thanks to the FastLane3 technology that establishes a dedicated Wi-Fi link to the router. The device requires quite a bit of socket space. 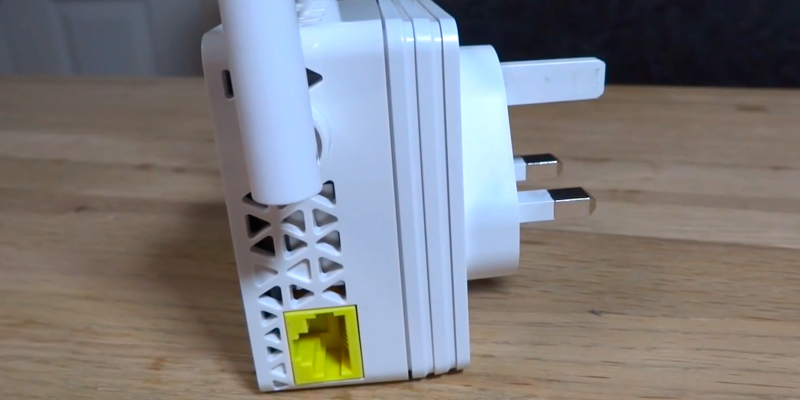 The booster might very well be the best Wi-Fi range extender when it comes to securing a connection that doesn't sacrifice speed in favour of range. The device features universal compatibility, so you can easily recommend to anyone who isn't afraid to drop a few additional pounds to get a truly excellent product. Thanks to the fact that both bandwidths utilise the Wireless-AC technology, the power of the signal will match its range. The model incorporates an Intelligent Signal Indicator that comes with an RE button for a one-touch setup. The blue light will indicate that the connection is solid and the red one will be reserved for those occasions when it isn't. The model doesn't fare well with voltage drops. The TP-LINK RE450 Universal Dual Band Wi-Fi Booster is a reliable and well-rounded model that will be a perfect fit for the kind of clientele that would choose a versatile device over a specific one any day of the week. The Wi-Fi Analytics app will give you an overall overview of your network status. You'll be able to use it to check the strength of the signal. The app will help you measure channel interference. It is capable of identifying the locations where the signal is the weakest, so you'll have the opportunity to cover those dead spots. The booster tends to heat up after a few hours. 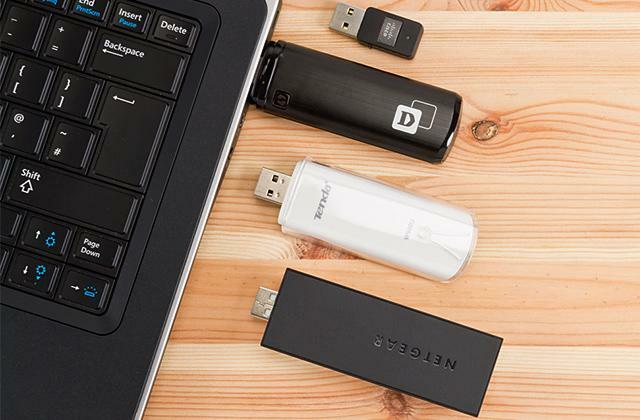 The NETGEAR EX3700 is a great choice for a large family of tech-savvy people who prefer a great variety of online content. 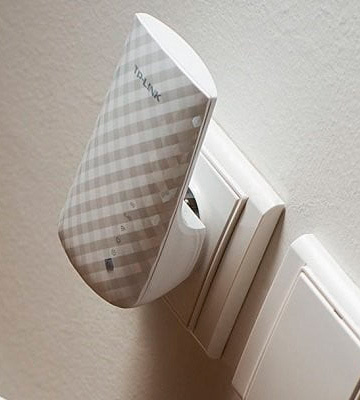 It will help you eliminate dead spots and you'll be able to enjoy a strong signal in every corner of your house. Plus, it is compatible with all Wi-Fi standards. With the help of the Beamforming technology, this WiFi booster will be able to focus the signal directly to any compatible device to further optimise its performance. Another interesting aspect of this piece of data networking equipment is the use of a PerfectPoint Locator that will help any future owner locate the best possible spot for maximum range and signal strength. The settings menu is a little complicated. Despite being easy on the pocketbook, the device offers enough in terms of speed and convenience to satisfy your average household. 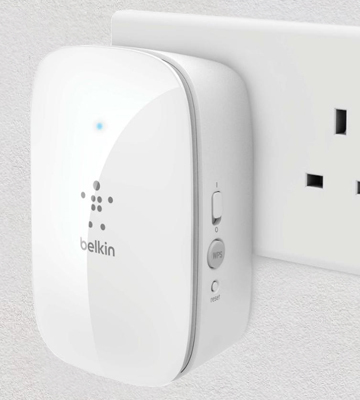 If you don't wish to pay a king's ransom for a Wi-Fi signal booster but would still like to get a dependable product, the Belkin F9K1126-UK should be right up your alley. The Smart Signal Indicator provided on the device displays the power of 5 GHz and 2.4 GHz signals separately, thereby allowing the optimal location of the booster to be determined without any additional devices and programs. Sensitive to voltage fluctuations in the network. 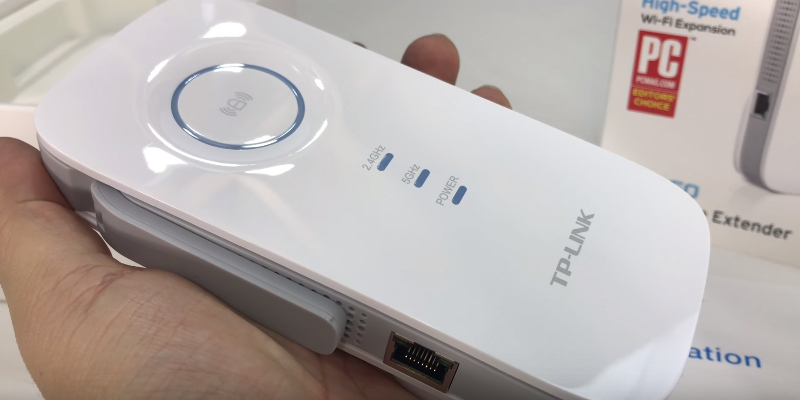 TP-Link is famous for the production of functional and at the same time simple network devices, and this budget extender is no exception: it takes only a couple of minutes to configure it, and the speed of the Internet over Wi-Fi will be an order of magnitude higher than before. 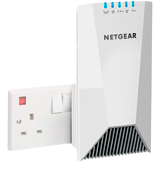 Without beating too much around the bush, the NETGEAR EX7500-100UKS is a Wi-Fi range extender that is far removed from being one of the more affordable options on the market. For a price of about 100 pounds, you'll be able to acquire an actual router. 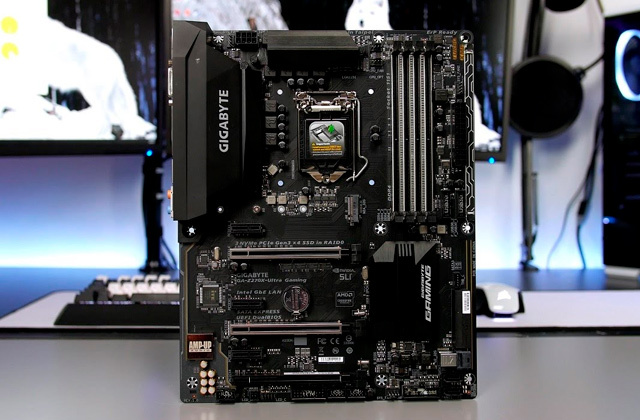 But despite the relatively expensive price tag that the model comes with, it is surprisingly cost-efficient given what it offers in return in terms of performance and convenience. For starters, the device in question combines all of the visible Wi-Fi networks into one, providing you with a single SSID. 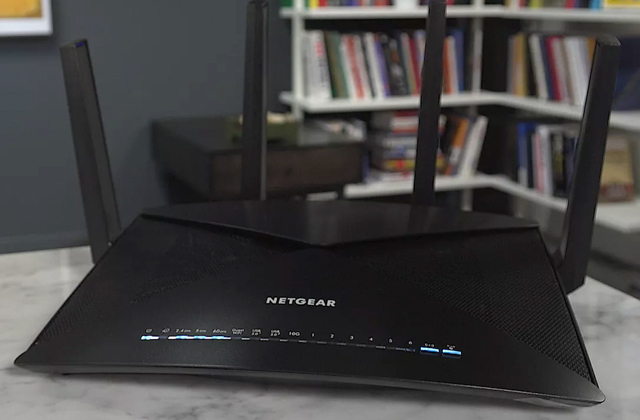 All you'll have to do is add the additional devices to the Netgear Wi-Fi booster's network and the extender will be able to find an optimal route in order to maximise the WiFi performance on its own. Speaking of performance, the fact that this model does not reduce the speed of your extended Wi-Fi is a welcome change compared to some of the cheaper boosters that sacrifice the speed in favour of range. The piece of data networking equipment from Netgear is able to do that thanks to the FastLane3 technology that establishes a dedicated Wi-Fi link to the router in order to avoid reducing the extended WiFi bandwidth in half. That's not to mention the fact that you'd presented with an opportunity to freely walk around the house without suffering through the unpleasant experience of an uninterrupted signal. That opportunity is there due to the fact that the device utilises a technology capable of seamlessly passing the WiFi connection between the router and the device itself in your own network. 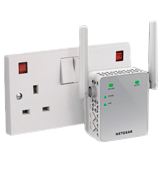 In conclusion, the NETGEAR EX7500-100UKS might very well be the best Wi-Fi range extender out there in terms of securing a connection that doesn't sacrifice speed in favour of range. Add to that the fact that this booster features universal compatibility and you could easily recommend it to just about anyone who isn't afraid to drop a few additional pounds to get a truly excellent product. In the world of information technologies, there are always the kinds of products that sacrifice some of its aspects in favour of others and those that instead focus on delivering the best they can do in every single category. Though, generally speaking, this sort of approach entails a relatively mediocre quality of all of these elements, the TP-LINK RE450 Universal Dual Band Wi-Fi Booster is one of those welcome exceptions that does not trail behind in just about every single area. To get the ball rolling, this Wi-Fi router booster offers a fairly solid connection speed, with up to 1300 Mbps on a 5GHz network and up to 450 Mbps on a 2.4GHz one. The aforementioned networks are secured with the help of three external dual-band antennas that extend the coverage of your wireless signal and its reliability, effectively removing any potential dead zones from your house or your place of business. 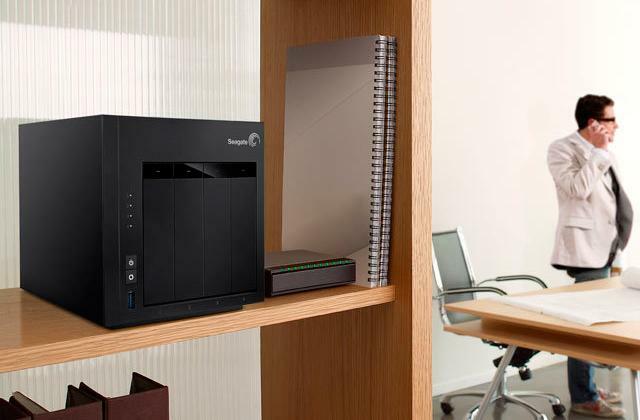 Given that both of the bandwidths utilise the Wireless-AC technology, you'll be able to rest assured knowing that the power of the signal will be able to match its range. 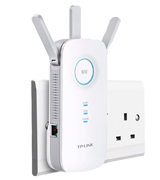 Lastly, even though this TP-Link Wi-Fi booster is essentially an orthodox all-rounder, the model does incorporate a fairly unique Intelligent Signal Indicator that comes with an RE button for a one-touch setup. The blue light will indicate that the connection is solid and the red one will be reserved for those occasions when it isn't. All in all, the TP-LINK RE450 Universal Dual Band Wi-Fi Booster is a reliable and well-rounded model that will be a perfect fit for the kind of clientele that would choose a versatile device over a specific one any day of the week. 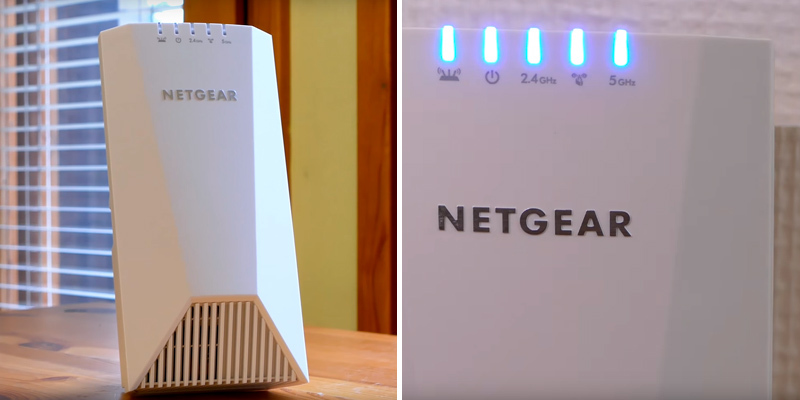 The NETGEAR EX3700 is sort of a middle-of-the-road Wi-Fi booster that should be enough to solve coverage issues in your average household. If you're familiar with NETGEAR products, it doesn't really offer anything you haven't seen before. It's just a solid extender that will help everybody in your family enjoy a strong and stable connection in every part of the house. It will also help you prioritise the data. Using FastLane technology, you'll be able to establish one particularly high-speed connection that will allow you to enjoy online gaming and HD streaming. The device is a dual-band booster, so prioritising in general is definitely not one of its weakest links. The 5GHz band is capable of transmitting up to 433 Mbps of data, more than enough for a few people enjoying the most traffic-demanding content. The slower 2.4GHz band caps at 300 Mbps, which is, again, more than enough for legacy devices and your everyday browsing purposes. As it is always the case with NETGEAR, the model works with the company's very own Wi-Fi Analytics application. It will give you an overall overview of your network status. You'll be able to use it to check the strength of the signal. The app will help you measure channel interference. Finally, it is capable of identifying the locations where the signal is the weakest, so you'll have the opportunity to cover those dead spots. In other words, the NETGEAR EX3700 is a great choice for a large family that enjoys a great variety of online content. It will help you eliminate dead spots and you'll be able to enjoy a strong signal in every corner of your house. Plus, it is compatible with all Wi-Fi standards. 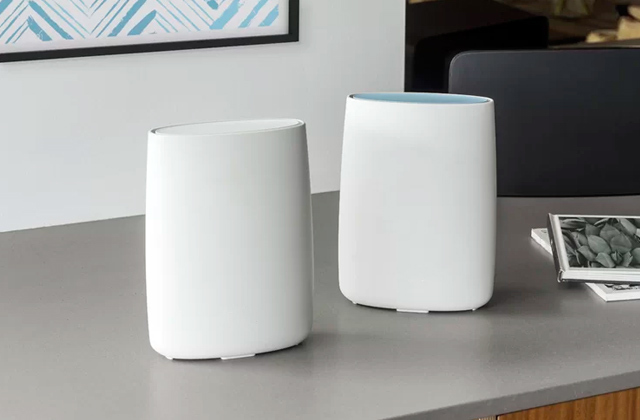 Speaking of an average household, we believe it would be fair to say that the majority of them wouldn't be willing to spend a hundred pounds on a WiFi signal booster in addition to about the same sum they had to have already spent on a wireless router. And it would seem that people at Belkin understand that since the Belkin F9K1126-UK offers just about everything your typical household needs out of a device like that at a price that wouldn't cost most of these people an arm and a leg. Sure, the model doesn't necessarily offer the best there is in terms of speed, but up to 866 Mbps at a 5GHz network for newer gadgets and a cap of 300 Mbps at 2.4GHz for legacy devices should prove to be more than enough to serve your average family living in your typical house. And, with the help of the Beamforming technology, this WiFi booster will be able to focus the signal directly to any compatible device to further optimise its performance. Another interesting aspect of this piece of data networking equipment is the use of a PerfectPoint Locator that will help any future owner locate the best possible spot for maximum range and signal strength. And, setting the technical stuff aside, we would be remiss not to mention that the device in question will be able to plug into just about any electrical outlet out there without obstructing other sockets thanks to its compact and space-efficient design. Considering all of the above, what we're left with is a device that, despite being easy on the pocketbook, offers enough in terms of speed and convenience to satisfy your average household. 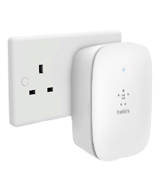 If you don't wish to pay a king's ransom for a Wi-Fi signal booster but would still like to get a dependable product, the Belkin F9K1126-UK should be right up your alley. Over the past decade, several companies have risen to the top of the pack in regards to wireless networking technology, and several are very well known, especially the companies from which the previous two reviewed Wi-Fi signal boosters have come from. However, in the last few years, another name has joined that list, having very quickly risen up the ranks of having the best wireless products. TP-Link has really been making a name for themselves lately, with providing great wireless products for very affordable prices, and this great budget Wi-Fi booster is a good example of this. Despite being a budget product, the TP-Link RE200 Dual Band WiFi Range Extender provides all of the features that can come to be expected from a Wi-Fi booster. Supporting dual-band technology, this Wi-Fi range extender supports both the 2.4GHz and 5.0GHz bands at AC750, ensuring strong and fast connectivity for virtually any wireless devices in range. The dual-band support extends to supporting both bands simultaneously, something which is not often found in other Wi-Fi signal boosters. This means that devices that utilise both bands can connect simultaneously without impacting performance. It isn't very often that people would expect to find a full list of features to come from a budget product, but this TP-Link Wi-Fi extender has plenty of extra features. With the dual-band support, this Wi-Fi range extender supports both extending your Wi-Fi signal as well as acting like a bridge, which means you can configure the device to work in either method. 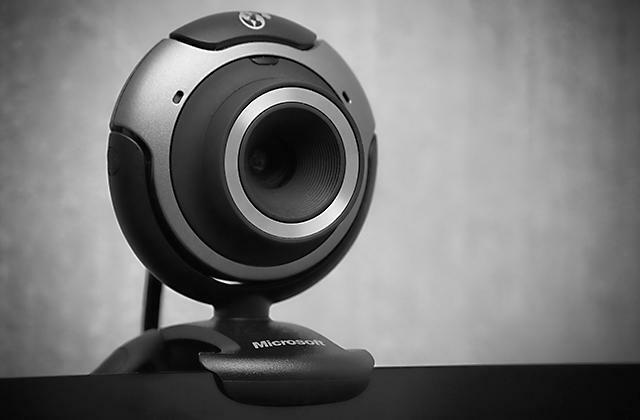 The bridge support also extends to the included RJ-45 Ethernet port on the device, which means you can connect a wired device such as a home media player or older desktop computer and have it work on the wireless network without any kind of adapter. Setup for this device is actually very simple and not at all complex, something which is often not true for such types of devices. 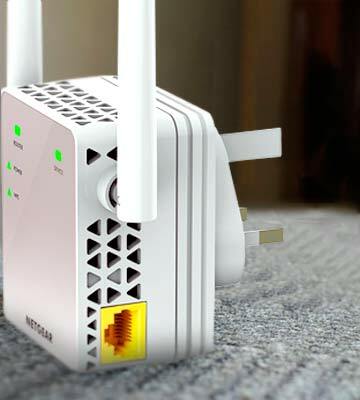 The indicator lights on the front can give a good indication of the strength of the wireless signal from your router, which helps in finding the ideal spot for the range extender. 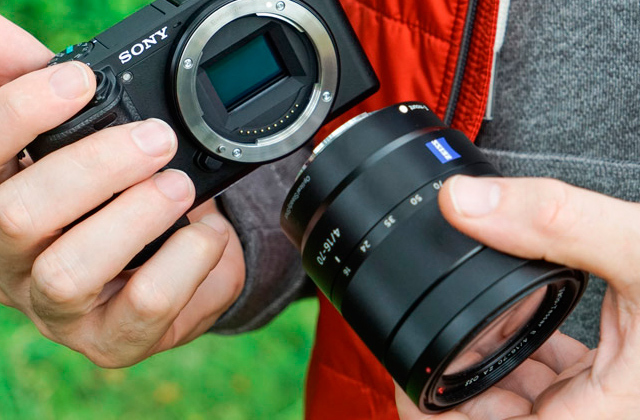 The internal firmware is also easily accessible and provides a clean, easy to understand menu for configuring the device. 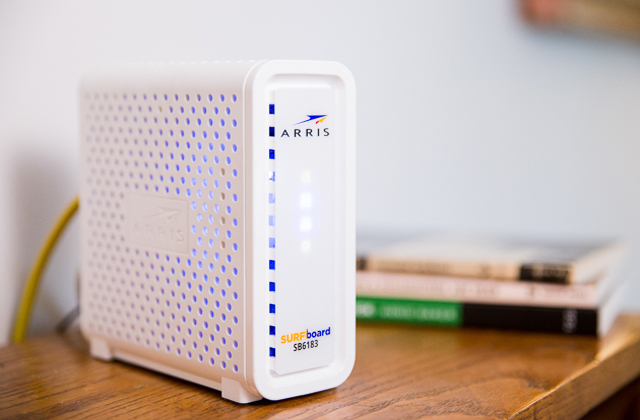 For anyone who wants to expand their Wi-Fi coverage in their home on a budget, there are few other options that can match both the price and performance of this model. A Wi-Fi booster, sometimes also called a Wi-Fi range extender or a wireless repeater, is a device that is used to help extend the signal range of an existing wireless access point. All wireless routers have a specific range that their own signal is able to reach, but often, in areas such as large homes or offices, the coverage area of the wi-fi signal isn’t able to sufficiently cover the entire area. 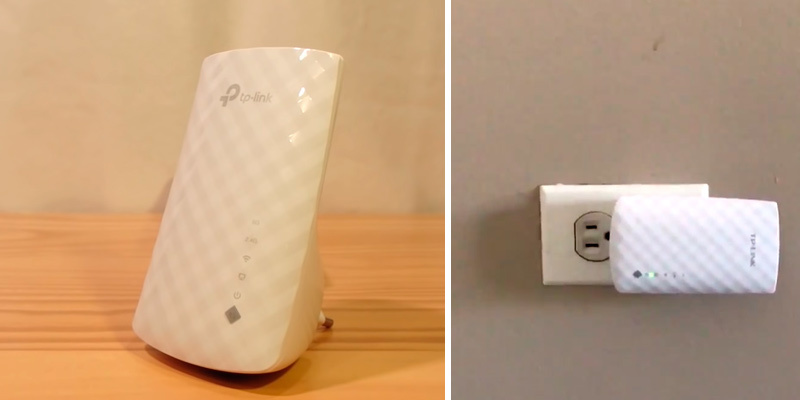 In such a situation, a wi-fi booster acts as an extender of the wi-fi coverage area, providing a strong, clean signal to an area that can’t be sufficiently reached by the wireless access point. 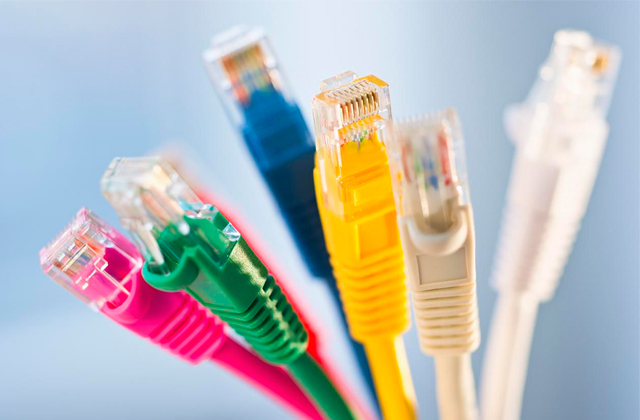 Wi-Fi boosters work by connecting to your existing wireless network, usually through a wired connection with an RJ-45 Ethernet cable or a USB cable, but they can also connect wirelessly. 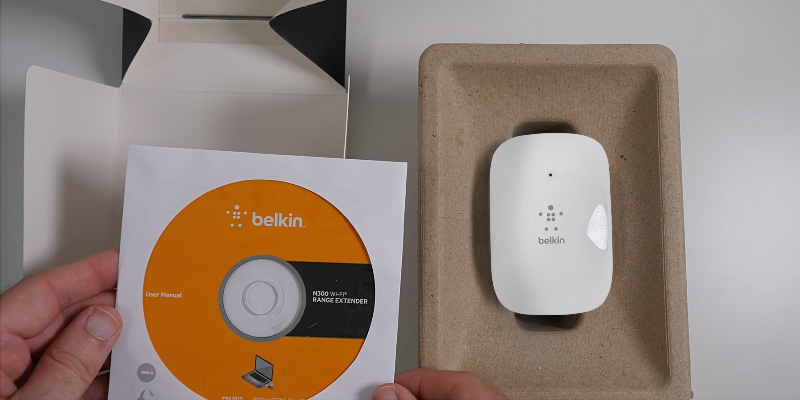 Once it is connected, it basically rebroadcasts the wireless signal from your router. These devices should be placed somewhere between the wireless router and the area that needs the boosted wi-fi signal. In very large areas, more than one wi-fi booster may be needed, especially if the signal needs to be boosted to areas on opposite sides of the router. In a large house or building that is two or more stories, the wi-fi booster may need to be placed on a story above or below the wireless router. 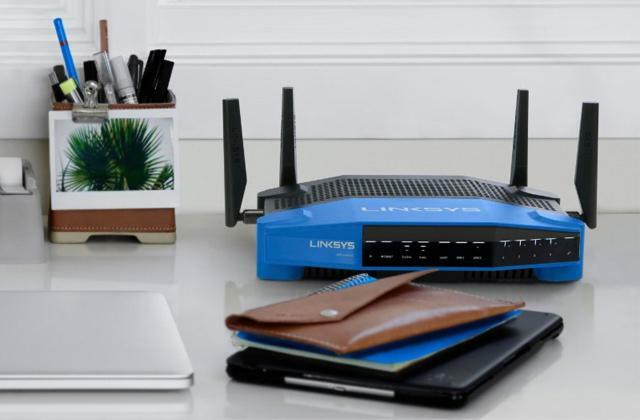 If you are needing a new wireless router along with a wi-fi booster, then take a look at our reviews for the 5 Best Wireless Routers for Home and Office Use. 1. David Murphy HOME NETWORK ZONE, PCWorld. April 22, 2011. 3. 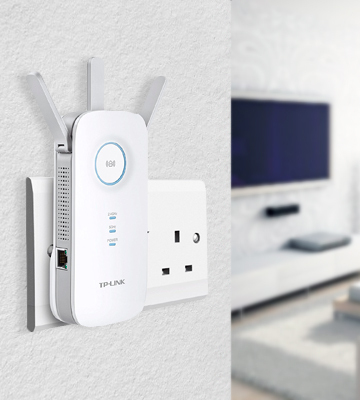 7 Things to Consider When Buying a WiFi Range Extender, DealNews. 4. Gregory Hamel Advantages and Disadvantages of Using a Repeater, Techwalla.